Brandon Conkling, DO has always been passionate about helping people, so when it came time to choose a career, being a doctor seemed like a natural decision. He pursued his medical degree at Oklahoma State University College of Osteopathic Medicine in Tulsa, Oklahoma. 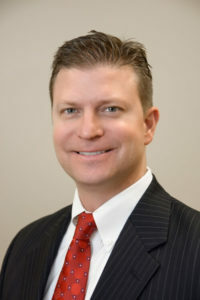 When he graduated medical school in 1996, Dr. Conkling completed his internship and residency in internal medicine at the Tripler Army Medical Center in Honolulu, Hawaii. He began practicing medicine as a general internist in the military at Fort Stewart in Georgia. During that time, he was deployed twice, doing tours in Bosnia and Iraq. Upon his return from Iraq, Dr. Conkling accepted a GI Fellowship at Texas A&M University College of Medicine at Scott & White Hospital in Temple, Texas. In 2007, Dr. Conkling joined the esteemed physicians of Adult Gastroenterology Associates (AGA), a group renowned for thorough diagnoses, attentive follow-up, and unparalleled continuity of care. As part of the group, Dr. Conkling soon became well-known for his expertise and dedicated care among IBS (Irritable Bowel Syndrome) and Crohn’s/colitis patients in Tulsa. When he is not caring for his patients, Dr. Conkling enjoys spending time with his family and playing a few rounds of golf.